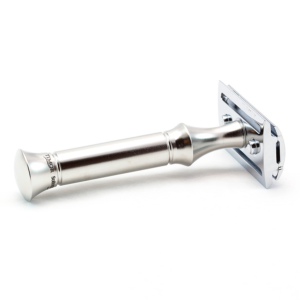 The Muhle R89 safety razor will give you a great shave. The high quality of workmanship can be seen in it’s rolled lattice work. Muhle are an exceptional traditional shaving company. 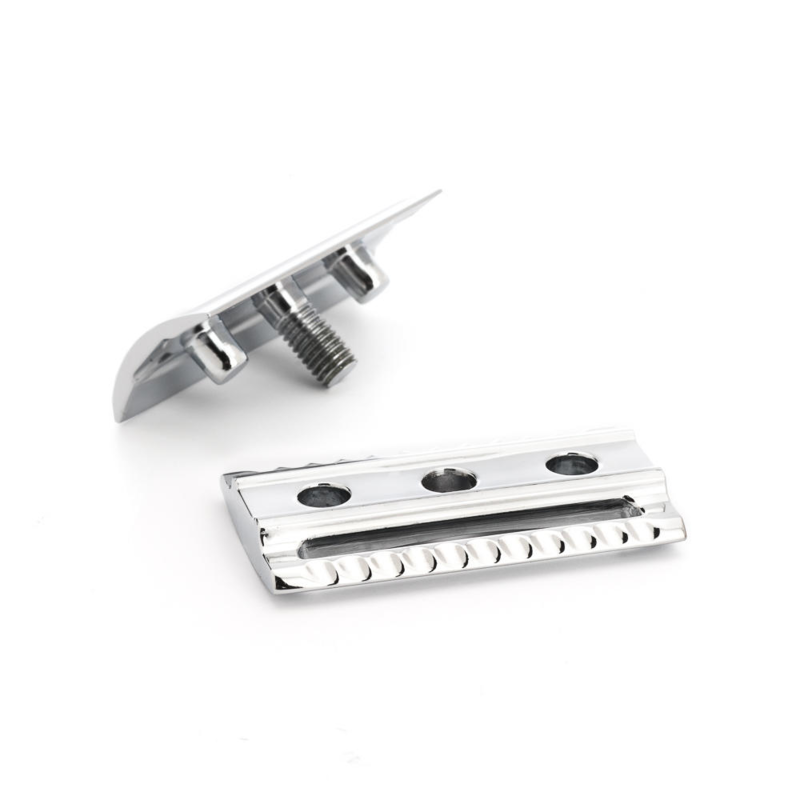 The Muhle R89 has a closed comb head, which creates protection for the shaver. But still powerfully dominates any rogue hairs. 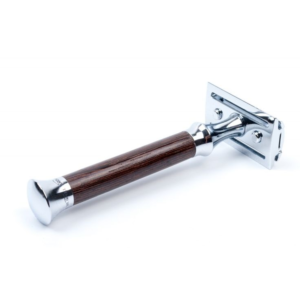 This brass lined safety razor is perfectly weighted at 64 g and Is 94 mm in length. Double edged blade compatible, the screw cap makes it so easy to change blades. Edward’s has a range of 10 different blade brands to choose from. We sell Muhle blades also which have done well in our reviews. We are official retailers of Muhle. Also we feel lucky enough to be one of few companies to be able to say this. 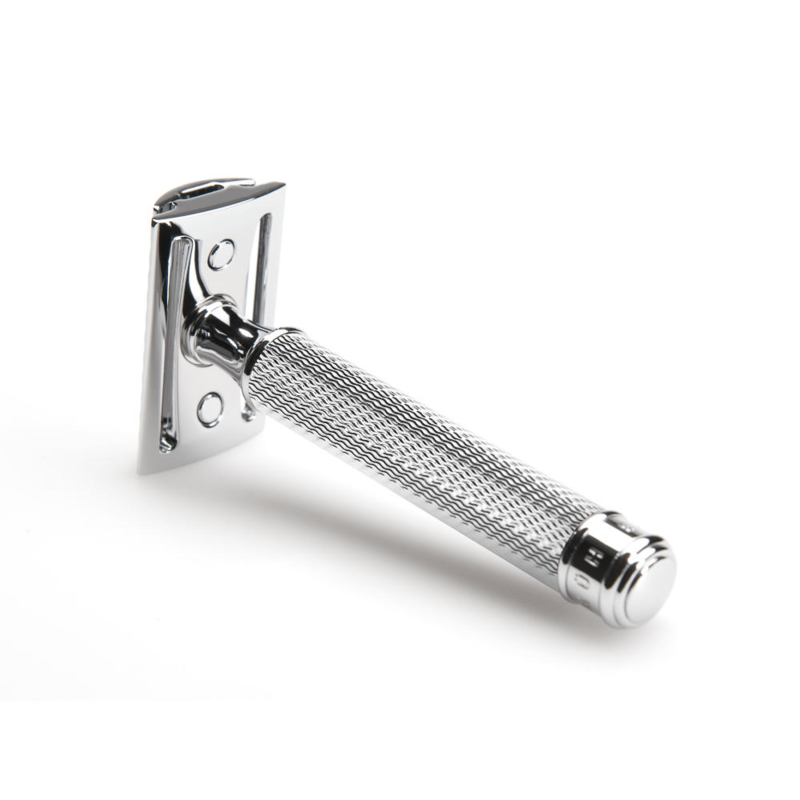 The Muhle R89 safety razor. Has done exceptionally well in review’s and forums alike. If you were to purchase one you will be happy to know it’s a trust worthy model. 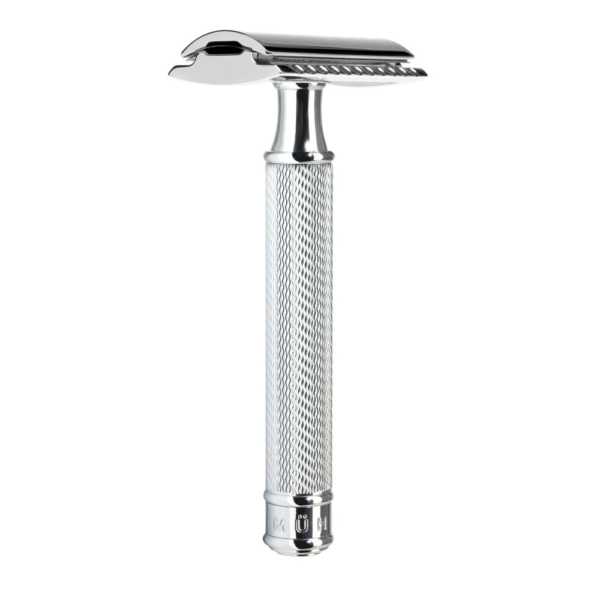 We have recently reviewed this brilliant razor in our blog. Which it excelled and it’s not suprisingly celebrated by the shaving community. The Muhle R89 safety razor really is a great model. It is Muhles best seller which speaks for itself. It comes with a blade and also free delivery making this a great deal. Shaving with a safety razor is a great lifestyle choice. This is a easy to use shaver however if you follow our tuition. You will get the best out of it. 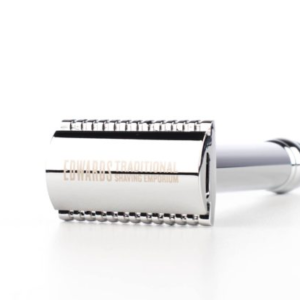 Edward’s has a blog that is full of great shaving tips and product information. Attached is a popular blog about a good shaving technique. We are very much about customer care at Edward’s shaving. 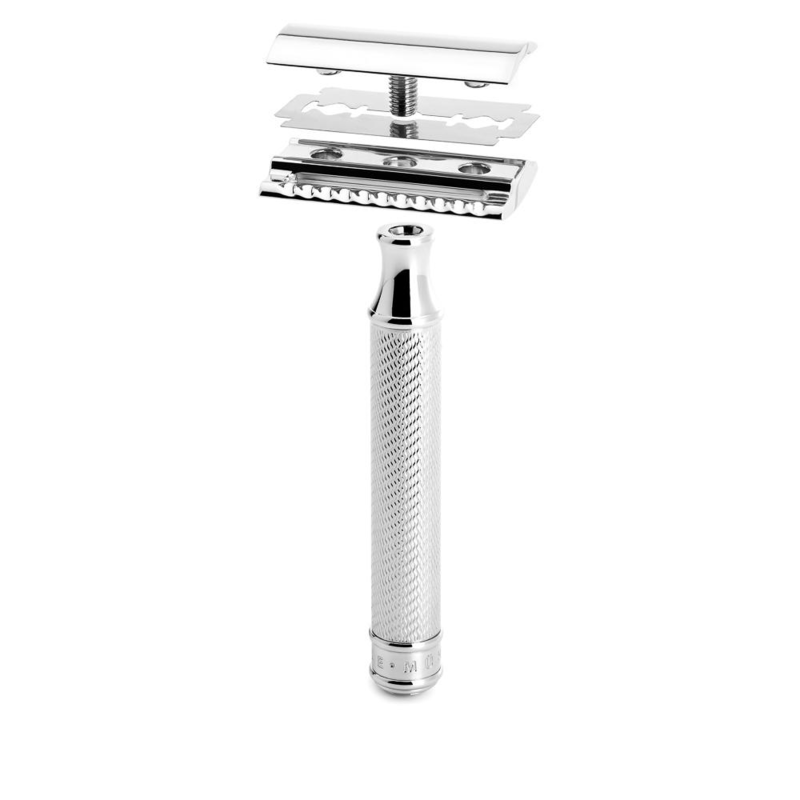 We really do like this razor and feel it is suitable for all skin and hair types. How should I use safety razors?